Cartouche on a Colt Peacemaker grip. 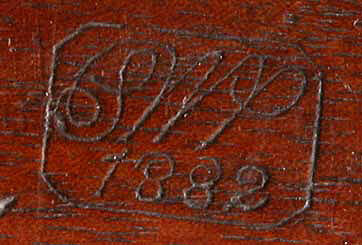 Cartouche on US Springfield Model 1879 Trapdoor rifle, accepted by SWP in 1882. 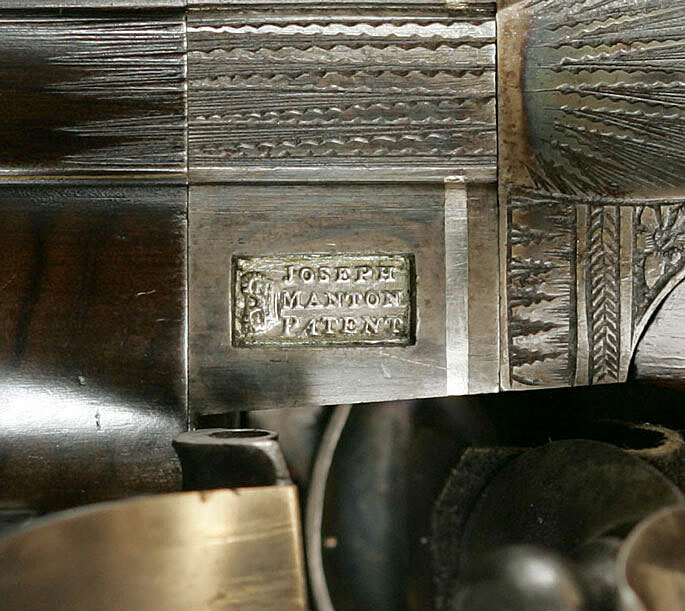 Joseph Manton's cartouche, stamped on a bit of platinum inlaid into the top of the breech. 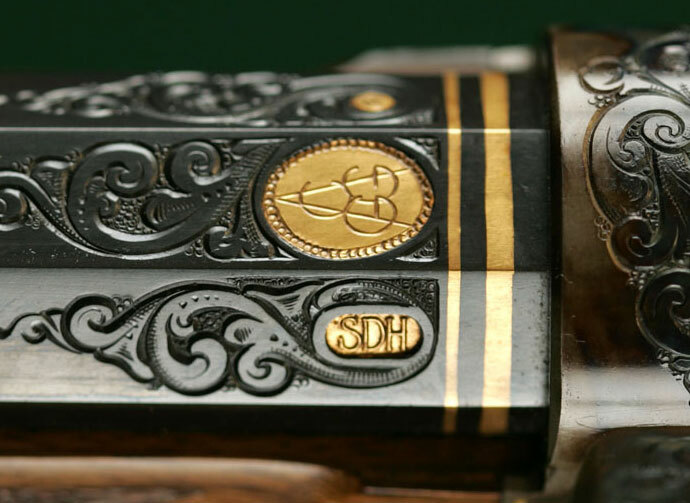 Cartouches of the American Custom Gunmakers Guild and of gunmaker Steven Dodd Hughes on the breech end of the barrel of a custom rifle. 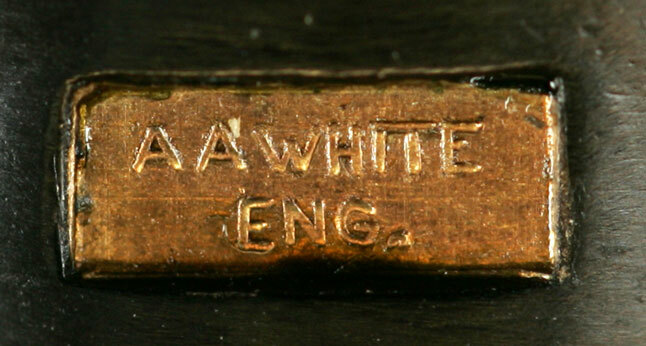 Gold-inlaid cartouche of Alvin White, engraver. 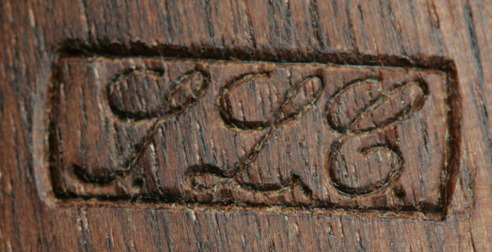 Cartouche of Chad Fossum, custom stockmaker at Shiloh Sharps---in the style of a 19th Century US Army acceptance mark. 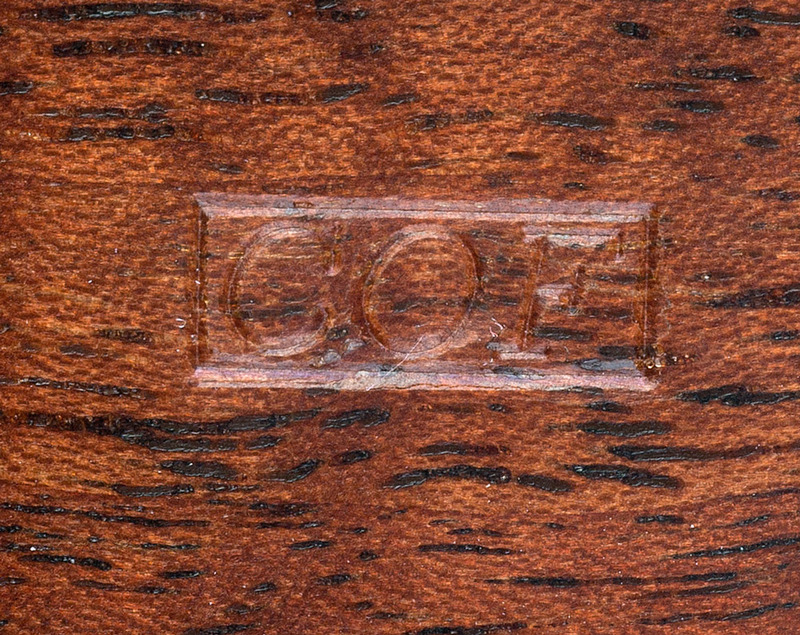 Cartouche - A mark within a border, typically stamped into the wood, especially of an American military rifle. It shows the initials of the name of the accepting inspector and often, the date he accepted the firearm into service.